The 10 Worst Films About Japan*: You Might Only Live Twice But Are These Movies Worth Seeing Once? Directed by Rob Marshall and starring Zhang Ziyi as a ravishing prewar geisha by the name of Sayuri (‘white lily’), this particular vehicle sinks to basement level lows of pigeon-holing and cultural misunderstanding. As a Japanese female I just don’t feel like forgiving this one – the emotional damage is irrevocable. To make things worse, national acting treasure Ken Watanabe makes an appearance and seals his fate as an enabler for Hollywood filmmakers to cater to the white male fantasy regarding all things Japanese – namely, geishas. The one bright spot is Kaori Momoi as a hard-as-nails proprietress of a geisha house. The lone authentic presence in a film hyped up on false pretensions. Just as Japanese women could never escape the geisha issue, Japanese men will always be associated with the samurai. As if that wasn’t bad enough, Hollywood just HAD to up and star Tom Cruise as a disillusioned ex-Union soldier who finds redemption and rebirth in the samurai racket in Meiji era Japan. The story (penned by Jon Logan) is just wrong on so many counts one forgets to feel offended. Most discouragingly, the film was wildly popular on both sides of the Pacific, which goes to show you: the samurai racket (like the geisha racket) is good business. How it affects the yen rate is anyone’s guess. Don’t get me wrong – I love Sofia Coppola as much as the next girl movie afficionado. But the thoroughbred filmmaker of the Coppola clan whose sensibility radar is always spot-on when it comes to charting the emotions and mindscapes of the under-29 woman, ran into some major static at the Park Hyatt in Shinjuku. As a poignant and appropriately jaded love story between Bill Murray as the slightly weary Hollywood actor come over to shoot a commercial, and Scarlett Johansson (who was all of 18 at the time) “Lost..” is a 4-star affair. But Coppola’s cut-out portrayals of Tokyo are sterile and silly and the Tokyoites who make brief and regrettable appearances…spare us the embarrassment please. No wonder the Murray-Johansson couple hardly ever venture out of the hotel. The Japanese have had always had a soft spot for James Bond but after Sean Connery spent time here for this movie, he became Main Man 007 man as far as the archipelago was concerned. At the time of the film’s release (1967), Connery was sited in fashion magazines as the dude in the suit, who never, ever wore undershirts and whose hairy chest held a ferocious appeal, especially to Japan’s first Bond girls Akiko Wakabayashi and Mie Hama. He left behind a massive inferiority complex from which the nation’s male populace never fully recovered. Shame on you, Bond-san. Okay, so this isn’t a movie about Japan, but as a depiction of a Japanese male it’s practically the cinematic equivalent of a hate crime. The Hollywood classic that stars Audrey Hepburn as It Girl of Lower Manhattan, Holly Golightly and the buffy George Peppard as her neighbor slash would-be lover, the film is absolutely delightful. 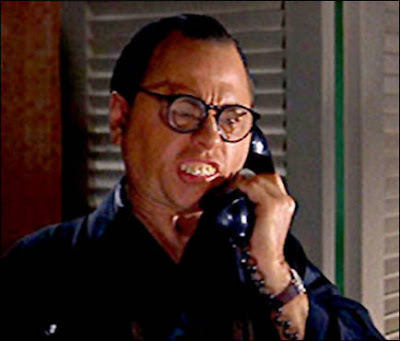 But once Mickey Rooney comes on as a mysterious Japanese man called “Yuniyoshi,” we start feeling a leetle uncomfortable. Rooney is outrageously made-up: protruding teeth, slanting eyes behind thick glasses and spiky black hair heavily pomade-ed. So as a poster boy endorsing Japanese internment during WWII, Yuniyoshi-san is perfect. Otherwise we can do without him, thanks very much. You can’t grow up in Japan and not know the loyal dog Hachiko (he went to Shibuya station everyday to greet his master coming home from work) or choose the dog’s statue in front of Shibuya Station as a meeting spot. Hachi is to the Japanese what Cheerio’s may be to the American – so much a part of our daily fabric that it seems weird, really weird when Hachiko shows up in a Hollywood movie starring Richard Gere. Directed by Lasse Hallstrom (whose feature debut is called “My Life as a Dog”), the whole thing feels forced, contrived and highly artificial. Hachiko doesn’t belong in a manicured suburban town among all those white picket fences, and Gere as the college professor who opts to be his American master, well…the word “jarring” comes to mind. Around the time this film was released, France had a kind of amorous fling with Japanese culture and one of the byproducts was this film by Gerard Krawczyk. The equivalent of an haute couture dress souped up on Akiba culture, the film has great ideas and (probably) benevolent intentions. Unfortunately they don’t quite work together. Too bad, as it pairs Jean Reno as a Parisian cop once married to a Japanese woman, and our very own Ryoko Hirosue in a role pitched halfway between a pouting, flighty anime girl come to life and Reno’s comprehensive guide to Tokyo. The result is a chaotic hodgepodge of vignettes that show up the city as a kind of noisy, plasticine pleasure palace. This is an ambitious undertaking by British auteur Peter Greenaway, but his sensibility that created such visually resplendent (and often grotesque) pictures like “Drowning by Numbers” and “The Belly of an Architect,” failed when it came to a rendition of “The Pillow Book” (a collection of essays by 10th century court scribe Seishonagon). For lovers of the truly weird, the film provides much fodder: Vivian Wu stars as the extremely sensuous Nagiko, who inspires her calligraphy master dad (Ken Ogata) to paint characters all over her face and body. Later, she meets her match in Jerome (Ewan McGregor) who proves himself masterfully creative with the brush as he is with other uh, physical skills. For the record people, this has nothing to do with Seishonagon’s book and still less with calligraphy. Try reading the actual book instead. Sei Shonagon was the Kaori Shoji of her day: acerbic, funny, and a great essayist. When this opened in Paris back in 1976, people lined up for hours for the pleasure of seeing one of the most controversial films of the 20th century. 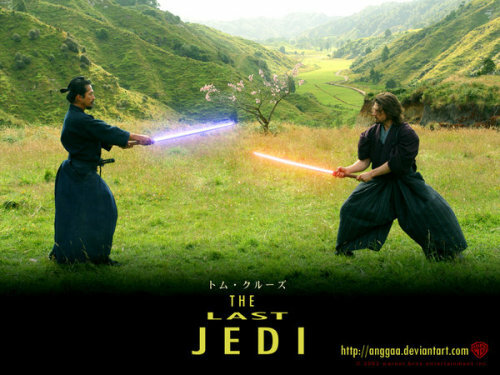 In Tokyo it was banned from opening at all and when that was cleared many theaters refused to show it. Based on the real-life story of servant girl Sada Abe (Eiko Matsuda) and her master Kichizo Ishida (Tatsuya Fuji), “Ai no…” takes Japanese eros to a whole new dimension. Director Nagisa Oshima is masterful in his no-holds-barred depiction of an all-consuming sexual obsession between a man and a woman. But ultimately, the film caters to a frayed stereotype: that given the choice, a Japanese will choose brutality over love, and death over life. Somehow Richard Gere makes it into at least two of the worst ten movies about Japan. Hopefully, he can be in more before the decade ends. A well-crafted story commemorating the nuclear bombing of Nagasaki by Japanese cinema giant Akira Kurosawa, this marked his first-time collaboration with Asiaphile Richard Gere. Gere plays the relative of an old woman whose husband had died on that August day and now with dementia setting in, she often relives the day that deprived her of her parents, husband and many friends. There are plenty of opportunities to make Gere’s character feel remorse about what the US did, but Kurosawa was apparently in a forgiving mood, and the movie spares Gere any major discomfort. As it is, we never get closure. *Editor’s note: The 10 Worst Films About Japan are not necessarily in order of suckiness. Thank you. Posted on December 1, 2016 December 2, 2016 Author Kaori ShojiCategories Contemporary Culture, Featured, Jake Adelstein, Pop Culture, Reviews, Underground EconomyTags 007, geisha, james bond, movies, Nagiko, samurai, sayuri, sex58 Comments on The 10 Worst Films About Japan*: You Might Only Live Twice But Are These Movies Worth Seeing Once?